The Whitney Museum of American Art offers a full range of twentieth-century and contemporary American art, with a special focus on works by living artists, often purchasing works within the year they are created, well before the artists become broadly recognized. If you are interested in the next hot American artist, the Whitney Museum is a must-see! 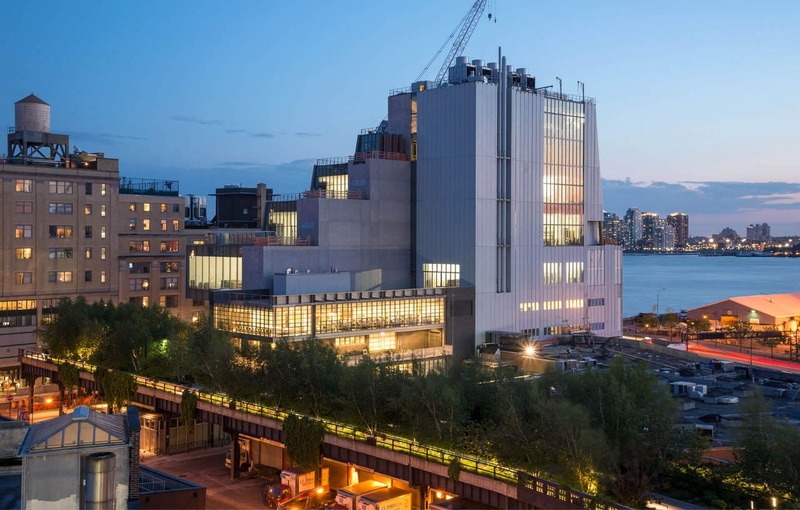 The Whitney Museum has always been on the cutting edge, and figures such as Jasper Johns, Cy Twombly, and Cindy Sherman were given their first museum retrospectives by the Whitney. The new museum building includes approximately 50,000 square feet of indoor galleries and 13,000 square feet of outdoor exhibition space and terraces facing the High Line. The Whitney offers more than 12,000 paintings, sculptures, prints, drawings, and photographs, representing nearly 2,000 individual artists and providing the most complete overview of twentieth-century American art of any museum in the world. Tickets are Adults $25, Senior/Students $18, Members and 18 and under free. Pay-What-You-Wish Admission, Fridays 7-10 pm. The Museum offers fine dining the ground floor and casual fare on the 8th floor. Untitled (yes, that is the name), is the new fine dining restaurant from Danny Meyer’s Union Square Hospitality Group, helmed by Chef Michael Anthony of Gramercy Tavern. The eighth floor Studio Cafe features toasts, soups, salads, and other light fare. 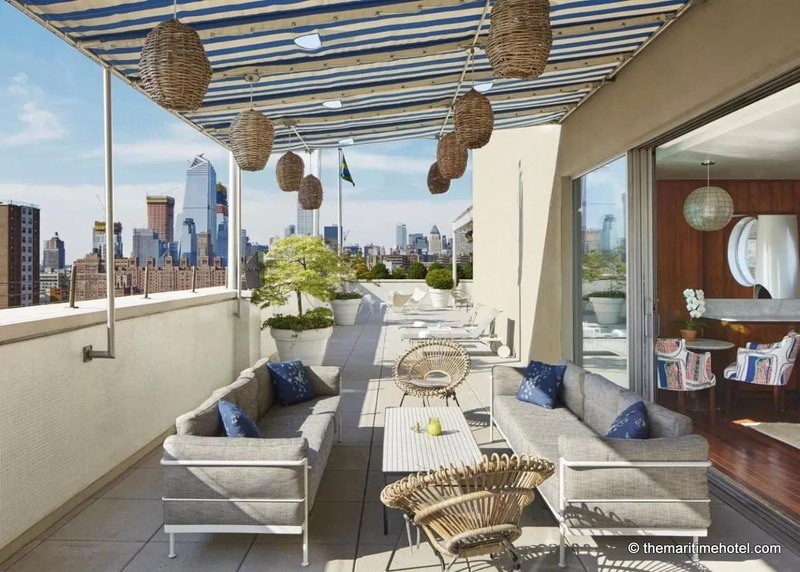 From affordable hotels, like the Chelsea Pines Inn, to more upscale boutique hotels like, The Standard New York, Dream Downtown and Hotel Gansevoort, the Meatpacking District offers great choices. These hotels place you right near the West Side Greenway, offering 30+ miles of biking/running completely cut off from NYC traffic. The Whitney Museum of American Art is the world’s leading museum of twentieth-century and contemporary art of the United States. 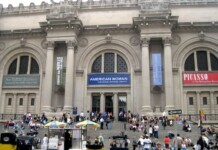 Founded by sculptor and arts patron Gertude Vanderbilt Whitney, the Museum opened its doors on West Eight Street in Greenwich Village in 1931. 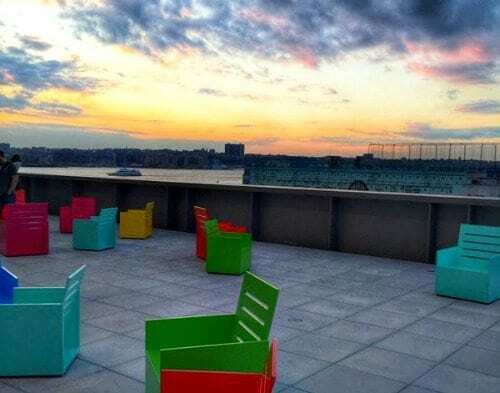 The Whitney later moved uptown and was, until 2015, housed in a Marcel Breuer-designed building on Madison Avenue at 75th Street. Now, the Museum has retuned downtown to a new building designed by Renzo Piano. Closed Tuesdays, Thanksgiving Day, Christmas Day, and New Year’s Day.